Painting and Drawing, Classes and Courses. Landscape, Abstract - Life Drawing & Painting, Portrait Art, Tone, Colour. The Structure of Chaos Gallery. DROP IN, PAY ON THE DAY. Artists and students join us before, after, in-between or instead of Art School. A resource for professional and amateur Artists, offering essential techniques and skills to Students, a careful introduction and sound foundation for Beginners. The Studio has a welcoming atmosphere and offers challenges in Painting and Drawing; we have group workshops, tuition, a meeting place for Artists and students, and a gallery with a variety of work on public display. The main aim is that every individual should enjoy studio, tuition and facilities, for each, to develop an independent process of painting and drawing. At Abbotsbury Studio accomplished and emerging artists are working in a variety of processes and styles. Abbotsbury Studio, a former hall, is centrally situated in the village - spacious, with a high ceiling, large windows and good lighting. 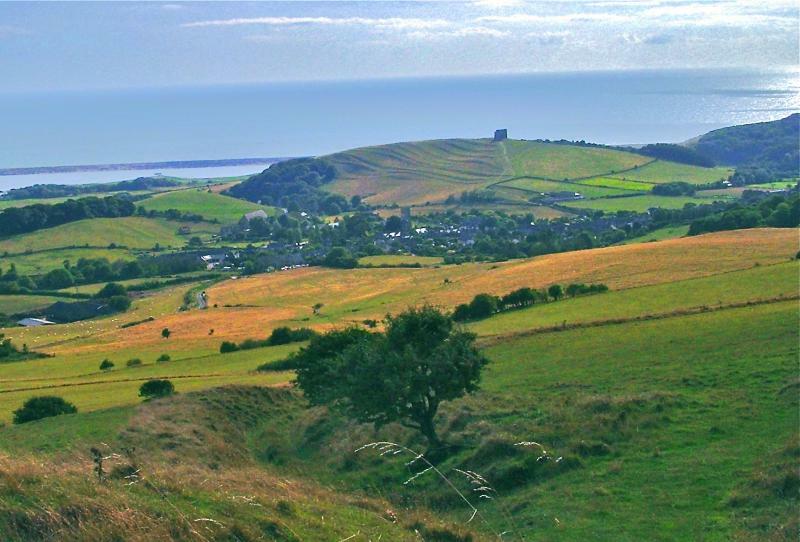 The village itself, a gem, is unique, set in a glorious and various landscape at the heart of Dorset's 'World Heritage Site' coast. 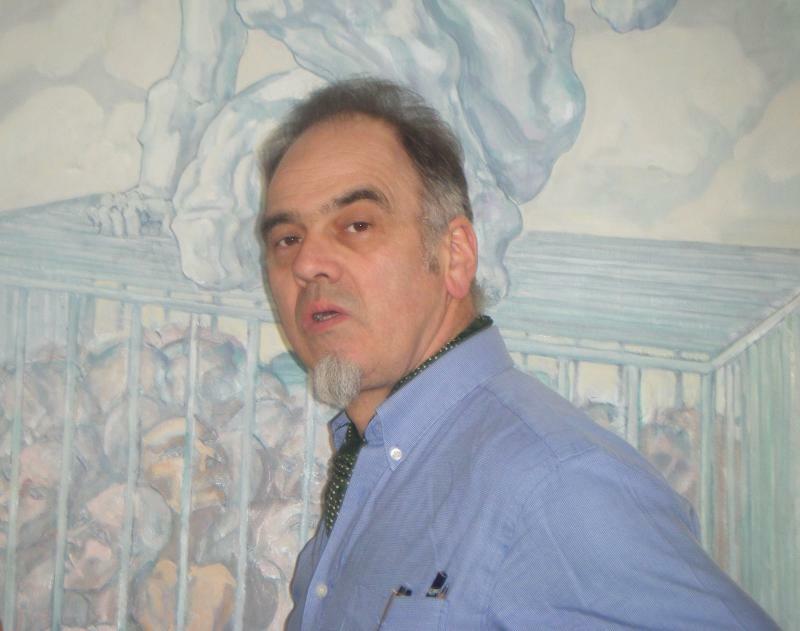 Challenges for artists and dialogue among different artists, fundamental and essential skills for students & beginners; John Meaker, tutor, offers analytical and observational disciplines as well as technical skills, appropriate to each individual's vision and ways of making marks. Knowledge of light and tone, colour, mixing and colour combinations, range of exercises, processes experiments are high up the list of priorities. Welcoming artists/students or newcomers, of all ages & stages to focus enthusiasm, concentration and energy, to make significant progress or refresh their individual working processes. Artists/students are invited to work in the medium of their choice, whether a familiar medium or a new medium. The studio has very good facilities (including an easel, 'A1' board, exam table and tall stool - for each person), so you need only bring drawing materials, paints & brushes. J M will be happy to offer suggestions or advice on materials and can usually fill any gaps in people's kit. The Gallery at Abbotsbury Studio exhibits the work of artists and students. Twentieth century drawing and painting have been carried from figuration through to abstraction without distortion or reduction by such artists as Mondrian, Soutine, Giacometti, Bomberg, Auerbach and de Kooning. They introduce, through imaginative projection, geometry and gesture, the transmutation of forms and figures into a field of flux. Combining detached analysis and emotionally charged gestural energy, true to the flatness of the canvas, while spatial relationships are held in utmost respect. Among other artists, they show us how we can effect negotiations with transitional states and enjoy the interchangeability of physical form with pure energy. In the realm of ideas we live in a delightful condition of upheaval and revolution, of transition and opportunity. It looks to many as if the rule book has been thrown away and chaos reigns. However the principles and disciplines involved in the dynamics of drawing, tonal painting, the colours and materials of painting are like laws of physics - behind all the visual arts mechanisms. The daytime courses at ABBOTSBURY STUDIO in 2019 will be Thursday for Life Classes, and for General Painting and Drawing will be on Mondays. From 17th April 2019 I introduce a Wednesday Portrait class (if enough people are interested).......FOR DATES SEE BELOW....................................................................... There will also be an evening Life Class at ABBOTSBURY STUDIO on Monday evenings, 6.30 - 9.30 pm (from 3rd January 2019). Phone or email for information. 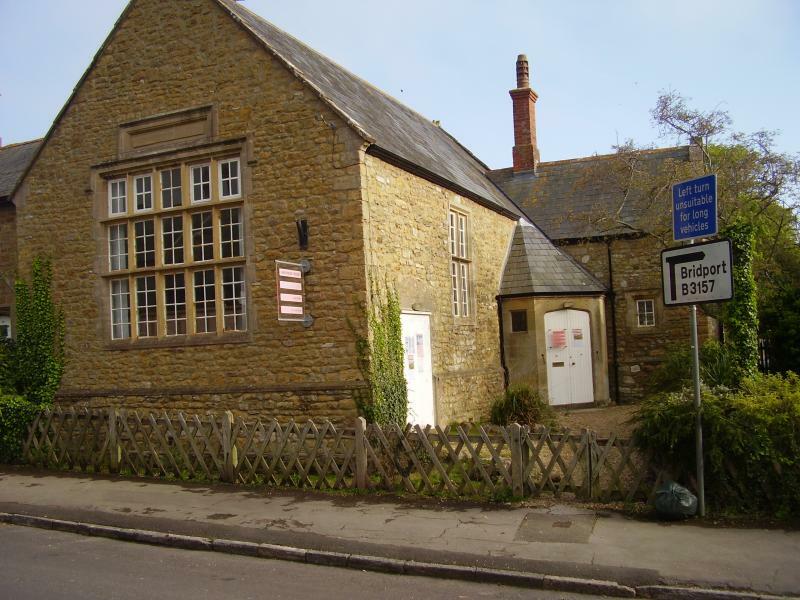 Abbotsbury Studio, a former hall, is centrally situated in Abbotsbury village - spacious, with a high ceiling, large windows and good lighting. The village itself is unique and in a glorious and various landscape at the heart of Dorset's 'World Heritage Site' coast. July 15th - 20th: Monday - Saturday ... Six Days...Come for as few or as many days as it suits you. PAY BY THE DAY..... HALF DAY (£20).... OR WHOLE DAY (£30). All welcome: inexperienced or accomplished Artists. 10am - 4.30pm. Each day meet at Abbotsbury Studio and from there go out into the local landscape. Landscape workshop days at Abbotsbury. Both in the glorious landscape and in the studio: We will start by going straight out into the Landscape or some mornings with a power point projected picture presentation/discussion on Abstraction or Composition and Landscape, on Contemporary and the history of Landscape Painting, British Landscapes or other related ideas. We will consider Abstract Values, Flat and 3D, approaches, composition and techniques, tone and colour. We will consider sketch processes, perhaps with big brushes, how the immediate response gives rhythm, life and individuality. Artists are invited to chose and bring their own different mediums - Oil, Acrylic, Watercolour, Pastel, Charcoal. The Daytime Weekly Workshop Classes at Abbotsbury Studio 2019. All run on a DROP IN PAY ON THE DAY BASIS.... from 10am to 4.30pm, unless specified otherwise, but you can come for just the morning, or just the afternoon - the morning session runs from 10am - 1pm and the afternoon session from 1.45pm - 4.30pm. Bring your own lunch. Scroll further down the page for Thursday Life Classes and Essential Painting Classes on Mondays (for dates see below). ...................... There will be a Autumn Term weekly Monday evening life class at Abbotsbury Studio ; see below for separate details. Newcomers please phone first, otherwise drop in and pay on the day! MONDAY EVENING LIFE CLASS 2019 at ABBOTSBURY STUDIO....6.30 - 9.30pm. DROP IN PAY ON THE EVENING...6.30 - 9.30pm...£10, students £7. 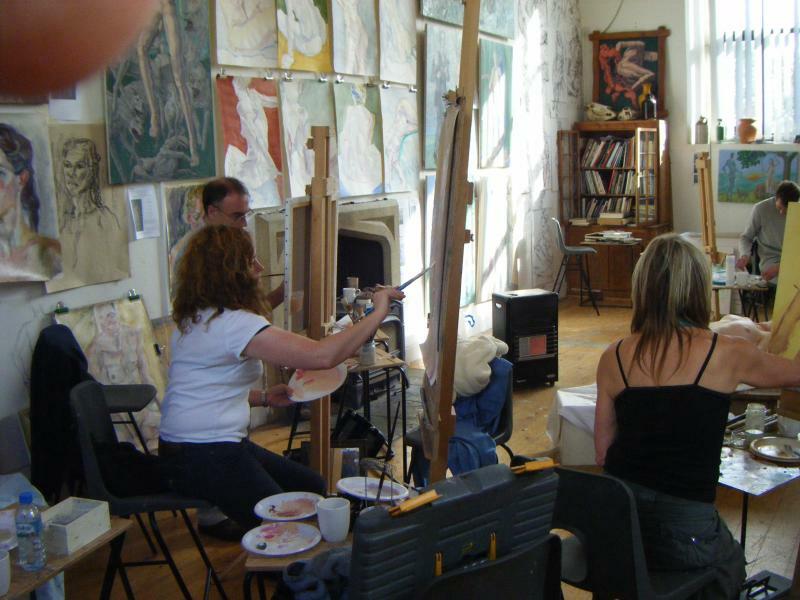 Monday Evening Life Class - NO Class bank holiday Monday 22nd April 2019.Otherwise every Monday DROP IN, PAY ON THE EVENING....We have beginners, students and accomplished Artists and Amateurs; many and varied styles in the same class. 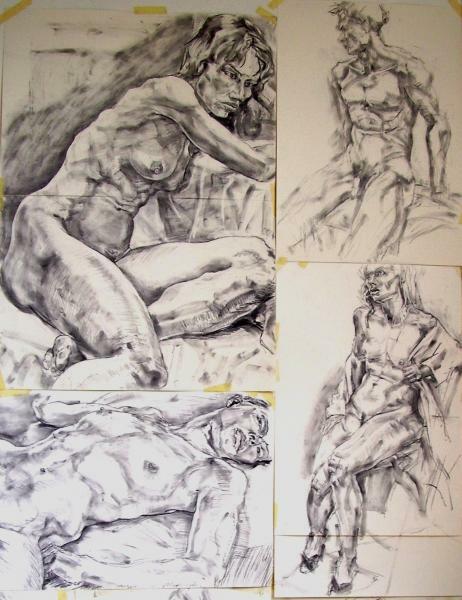 Many "A" level and serious aspiring Art Students, over the years have found this class an important supplement to their studies; quality Life Drawing adds resonance to a portfolio. It is a sound foundation in observational drawing, passing on essential technical skills and analytical disciplines. Life Drawing and the gestural response to the human form will initiate the technical maps for the expression of energy in Art. Any queries please phone 07816 850107. Thursdays, Daytime, Life Class 2019, 10am-1pm & 1.45-4.30pm. 1st February no Class today. Because of the snow the schools are shut and the model has no childcare, sorry. Then back to every Thursday. We start the day with short poses for one hour; usually these short poses are for about 10 minutes each, followed by perhaps six 2 minute poses. All these short poses in the first session are more likely to have some twists and stretches. After a coffee break we set up one long pose to last for the rest of the day. Although the long pose is necessarily less demanding on the model we are always careful to make sure it is inspiring from all points of view. The next Two Day Pose: 28th February / 1st March. The Friday is a second day added to the Thursday life class for artists and students who would like to work on the same pose for TWO WHOLE DAYS. Also it may suit those who cannot attend on a Thursday and are able to come on a Friday. MONDAYS 2019 ESSENTIAL PAINTING GROUP. 10am - 1pm, 1.45 - 4.30pm. No Class bank holiday Monday 22nd April 2019 - then every MONDAY. A general painting class for all comers with challenges and dialogue for artists, fundamental and basic skills for students & beginners. Emphasizing each individual's practical work. Personal projects - abstract or figurative. Colour and tonal studies, compositional dynamics, landscape, still life, or painting from chosen images; jazzing up old or modern masterpeices. Interesting objects, pots, jars, fruit and flowers always in the studio. For reference good collection of classical and modern Fine Art picture books. Portrait Painting, Wednesdays, 17th April to end of May. Portrait and drapes, Drop in, pay on the Day. £40 all day, £25 half day. You don't have to pay for more than one day at a time.............There will be a clothed model and we will make an effort to have colourful costume or drapes. The day will start off with some short poses for sketching. Before or after the coffee break we will set up a long pose to last the rest of the day.................. We are going to try out a Weekly Wednesday Class concentrating on Portrait Painting and Drawing at Abbotsbury Studio. Initially this class will be for six weeks, starting 17th April going on until the end of May.......However if there is sufficient interest, sufficient numbers, then it could carry on every Wednesday throughout the Summer. Artist, Tutor, Lecturer, invites you to share his enthusiasm. He will run practical workshops, on skills and techniques, and do demonstrations; or illustrated talks on Art History and Art Insights, with a pencil in his hand. "When I studied at those colleges it was in an era of change and transformation, a revolutionary time in the Arts. There was still a link to the classical tradition and I was lucky to have had tutors like Maurice Field teaching search and structure in drawing, light and tone in painting, learning to look. Field was himself taught by Sickert and Tonks, he passed on Tonks' palette, renaissance colours. I was lucky to have John Mills as a sculpture tutor and follow his ideas about dynamics and form. Arnold Van Praag taught the power of the image and Terrence Ibbott taught 20th century drawing - Cezanne's structure passes to Giacometti's facets and spatial relationships which influence Coldstream and Uglow. I had Andrew Forge and Dorothy Meade as tutors at Goldsmiths, she was known as Bomberg's star pupil. Bomberg , himself a student of Tonks, was I believe the 20th century's most exciting teacher of drawing having a talent for description, Cezanne's search for structure, accommodating Cubism and Abstract simplicities, and most infectious of all, his gestural energy and expression equal to the greatest painters, of course Bomberg was a tutor of Frank Auerbach. While I was at Goldsmiths, Malcolm McClaren, the Svengali of Punk, was in my Fine Art year group of 12. There was a changing of the guard at Goldsmiths when Andrew Forge went to Yale in the USA, and I fought my student war, still unresolved, against the tutors of the YBA generation. I considered their preoccupations were left overs from my teenage sixties and that underground Art scene. Before I went to Goldsmiths it was fun mocking tradition and producing novelties but even then it was a footnote to something broader and deeper - my apprentice craftsmanship. I thought then the Art world was headed up a cul de sac, that faith in conceptual Art was an intellectual insult to anyone over the age of 15, and although I can see it has its uses for advertising and political propaganda, I still think that. Maybe the positives I took from Goldsmiths ' modernism was a continuing interest in the "ideas thing', in ideas and narrative Art. At The Royal Academy Schools I attended as Keeper's Guest from 76 - 81. I was a regular in the 5 day a week Life Room, with tutors Norman Blamey, Leonard McCroombe and Peter Greenham, Keeper (Headmaster). The full time Life Room and compulsory Life Studies were abandoned and dropped in 1986 when John Hoyland was elected Keeper. Practically all the other major Art Schools abandoned painting and drawing as core studies in the early 1970s. Robert Hughes says, in his, the best book on 20th century Art "a thousand years of tradition were thrown away in a single generation, in the name of creativity" ! I teach drawing and painting, what used to be called Fine Art. Whatever limited experience a practising Artist has in these subjects it will be their foundation, their refuge, and a source of power and energy to whatever Art Form or medium they have chosen in which to work. Without basic skills and techniques as well as the disciplines of analysis the artist and their work will lack underlying strength - they will be dependent on bluff and their personal fragile idiosyncrasies." "As a teacher it is my task to develop in each student/artist a unique and independent process of work using whichever are appropriate classical or modernist skills or techniques". ............Presently, since 2007, he runs Art Workshops and Courses at Abbotsbury Studio, in an exquisite landscape on the West Dorset coast. 1. THE ESSENTIALS OF OBSERVATION IN ART: tonal painting and life drawing. Including the important influence of Sickert, and Ruskin’s 7th law of composition. 2. MASTERS OF 20TH CENTURY DRAWING, their insights and innovations: Paul Cezanne, Henry Tonks, R. Sickert, David Bomberg, Alberto Giacometti, Euan Uglow, Frank Auerbach. 3. CROSSING THE BRIDGE from a 19th century photographic to a C20th vision of Abstract, among the keys and reasons for the new language in Art are Analysis and Simplicity. 4. 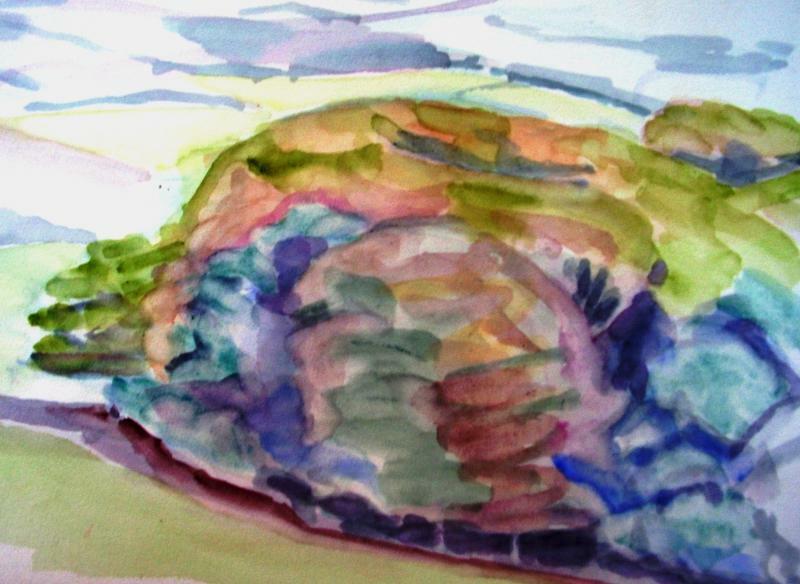 ABSTRACT VALUES IN LANDSCAPE PAINTING. From classical theories of composition and colour, to the main sources of Abstraction, and contemporary practices. 5. A PAINTER’S TOOLBOX: skills and techniques: tonal balance and colour basics; including: comparative proportions, pentimenti, contraposta dynamics, brushwork mosaic. 6. FOTHERGILL’S LAWS OF DRAWING: (1) Volume and the projection of the sense of touch. (2). Simplicity of 3D geometry. Principles that apply to all types of Observational Art. 7. ALEXANDER COZENS – “The first great Abstract Innovator and Teacher?” with his chaotic, contraposta, sketch processes. Published, in 1770, “A New Method”, painting processes still relevant and useful to painters; a signal influence on Turner and Constable. 8. HUMAN FIGURE Painting and Drawing, from the innovators of the early 20th century to Contemporary Artists. The modern era features many distinguished women Artists. 9. “PAINTERLY PAINTING”, GESTURAL and SPONTANEOUS. Titian to de Kooning. Mark making variety, alla prima painting, thick and thin, experiment with colour & materials. 10. COLOUR PRINCIPLES – Fundamental colour practices and useful theories for painters; illustrated with work by Artists of many periods; especially from Impressionism and after. DEMONSTRATIONS. In a two-hour session JM will demonstrate useful traditional and modern techniques as well as some of his own innovations in Painting/Drawing. Suggestions: A Portrait from Life (using a volunteer), A Jazzed up Constable (from a picture book), A Life Painting or Drawing (with a life model), or A Still Life (fruit, flowers, pots and jars). 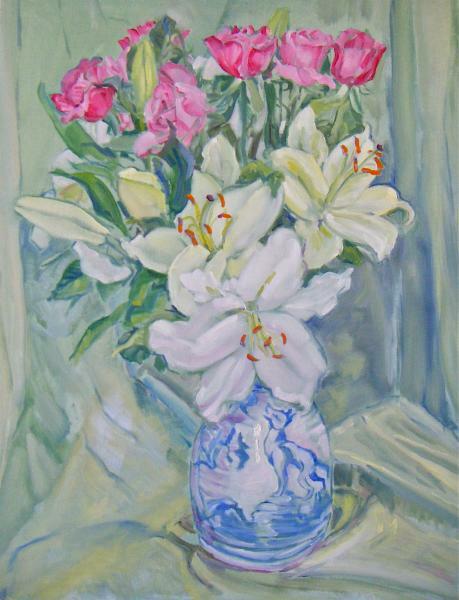 While demonstrating JM will discuss technical issues and the practical uses of tone and colour. 's own work is inspired by the mythic narratives and human insights of Poussin and Blake; the visualisation occurring in the experiments of Alexander Cozens and the spirit of gestural expression in the paintings of Willem de Kooning. Click here to see images of students' & artists' work made at Abbotsbury Studio. Click here to see images of John Meaker's work. Leigh, Sherborne, Dorset, DT9 6JG. Once booking has been confirmed, fees cannot be transferred or refunded. It is advisable to insure against losses of fees due to illness or other mishap. 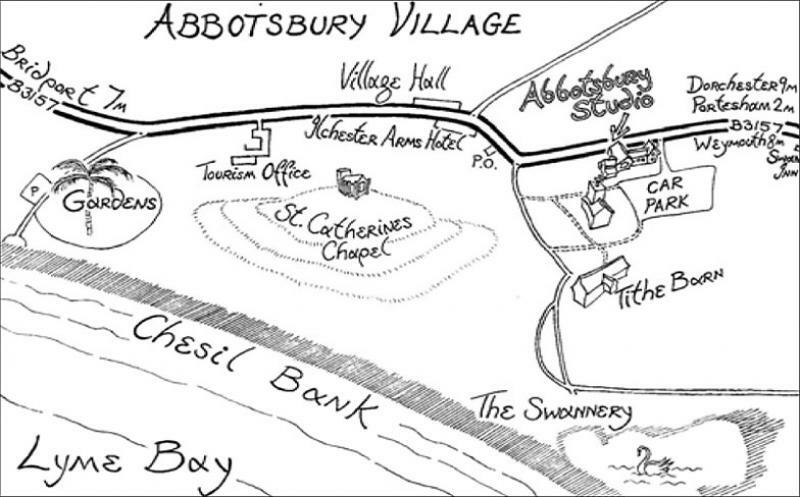 For local accommodation we can advise, or see the Abbotsbury Village website.